Japan has been populated for at least 30,000 years. During the last ice age, Japan was connected to mainland Asia by a land bridge, which Stone Age hunters were able to walk across. When the ice age ended about 10,000 BC, Japan became a group of islands. In 1603, after decades of civil warfare, the Tokugawa shogunate (a military-led, dynastic government) ushered in a long period of relative political stability and isolation from foreign influence. For more than two centuries, this policy enabled Japan to enjoy a flowering of its indigenous culture. Japan opened its ports with the U.S. in 1854 and began to intensively modernise and industrialise. During the late 19th and early 20th centuries, Japan became a regional power that was able to defeat the forces of both China and Russia. It later occupied Korea and Formosa (Taiwan). In 1931–32 Japan occupied Manchuria, and in 1937 it launched a full-scale invasion of China. Japan attacked U.S. forces in 1941, triggering America’s entry into World War II, and soon occupied much of East and Southeast Asia. After its defeat in World War II, Japan recovered to become an economic power and an ally of the U.S.
Japan’s population is over 127 million. 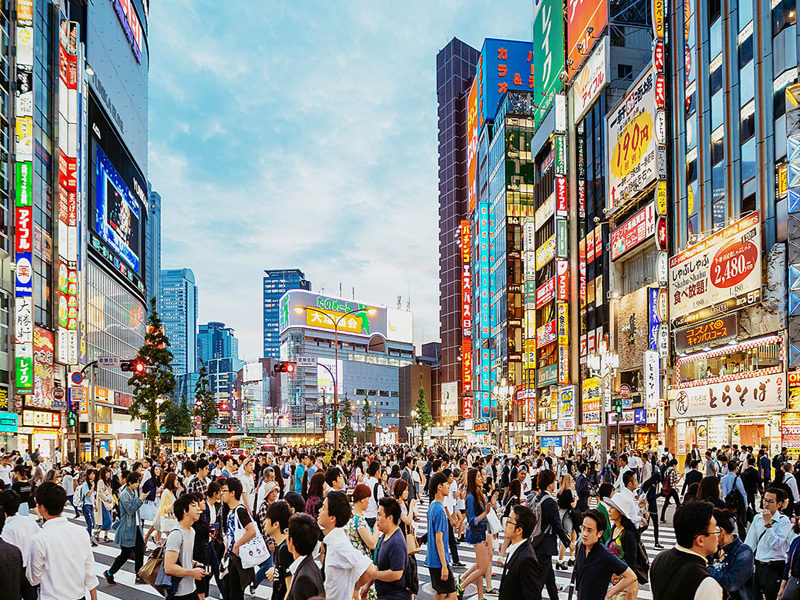 Japan is one of the most densely populated regions in the world, and most Japanese reside in urban areas. Japanese is the official language. As much as Japanese are proud of their traditional culture, they are also embrace modernity. Japanese fashion, pop music, video games, cartoons and comic books (e.g., manga) are very avant-garde and often lead the world in new trends. Japanese cuisine is renowned around the world for its freshness (e.g., sushi) and health benefits. The most popular sports are sumo, baseball, and football (soccer). Japan has a parliamentary government with a constitutional monarchy. While the emperor retains his throne as a symbol of national unity, elected politicians hold actual decision-making power.